Is The New Raspberry Pi 2 Camera Shy? 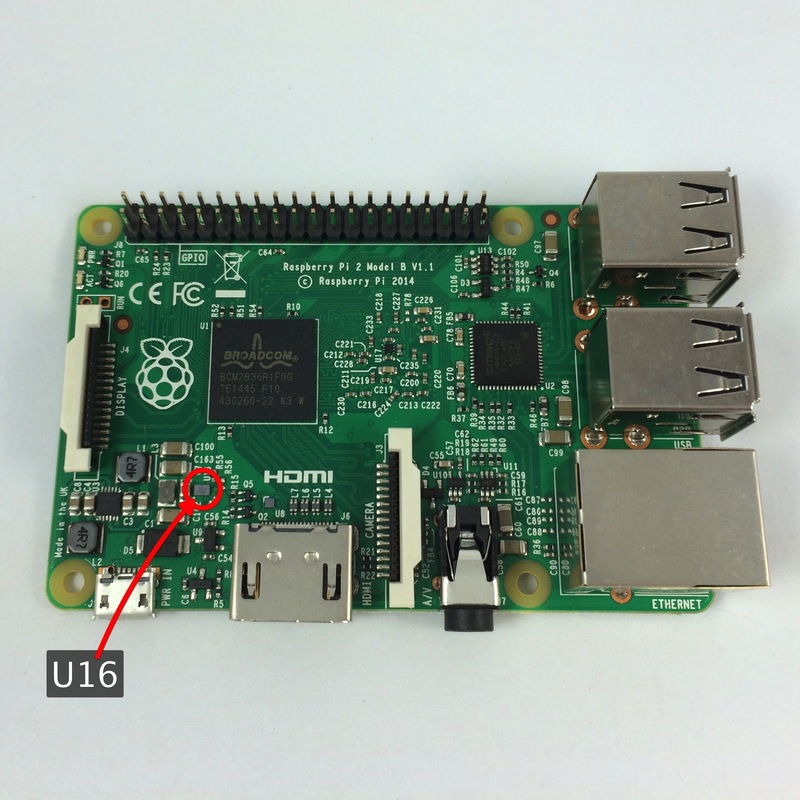 The new Raspberry Pi 2 with the problem SMPS chip (labelled U16) shown. Bright bursts of light are causing the new Pi to shut off. If you want to take pictures of your new Pi, don’t use a flash. Or if you must, don’t use a Xenon flash, or just stick a blob of Blu-Tack over the power supply if you want to keep your Pi running during its close up. The new Raspberry Pi 2 was just announced a week ago, and before that the number of boards in circulation, at least outside of the Foundation, was obviously going to be very limited. I only got my hands on it about a week or so before the release when I went to the Foundation’s offices to interview Eben Upton — the founder of the Raspberry Pi Foundation, and now CEO of the Raspberry Pi trading company — about the board. While that’s only to be expected, the limited number of people with their hands on real hardware means that there is obviously the chance of undiscovered problems, and sometimes those turn out to be pretty weird. It’s certainly the case this time—as the new Raspberry Pi 2 is camera shy. The problem was first discovered when an owner attempted to take some flash photographs of the new board and found that taking its picture caused the board to instantly power off. The problem is caused by the switched mode power supply (SMPS) chip on the board, labelled U16 on the silkscreen, which appears to be photosensitive. Too much light causes fluctuation in the power supply and the board resets. It’s definitely a photoelectric effect, and is due to an encapsulation problem with the chip — optically masking the top of the problem chip makes the problem go away. Now this sort of problem isn’t unknown, there was incident where the Halon fire suppression system was triggered in a nuclear power plant when an engineer was taking pictures of the control panel, and can be easily fixed in future production runs. 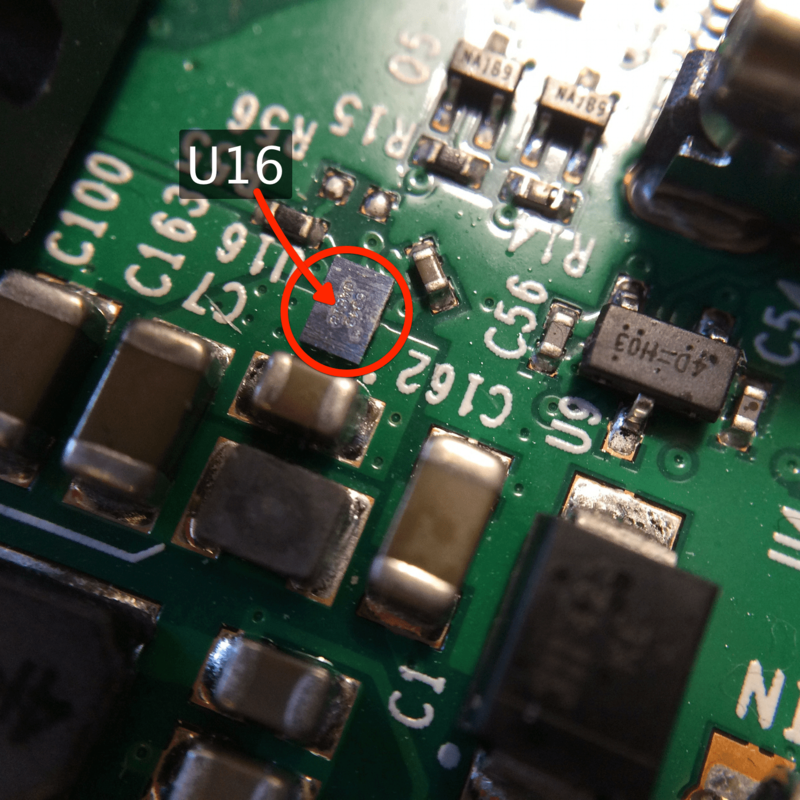 A close up of the problem SMPS chip (labelled U16). Update: After spending most of the day with the new Raspberry Pi 2 and bright flashes of light, the Raspberry Pi team passes on the news that your Pi should suffer from no permanent damage from the power drop out problem — although the resulting crash might cause corruption on the SD Card. Liz Upton — the Head of Communications at the Raspberry Pi Foundation — also goes into a lot of detail about the physics behind issue and goes out of her way to reassure us all that this is a hard bug to trigger. The team is also looking into possible ways to make future production Pis immune to the issue.